Beer culture for Munich and the world. The best beer is created in high-quality brew kettles. 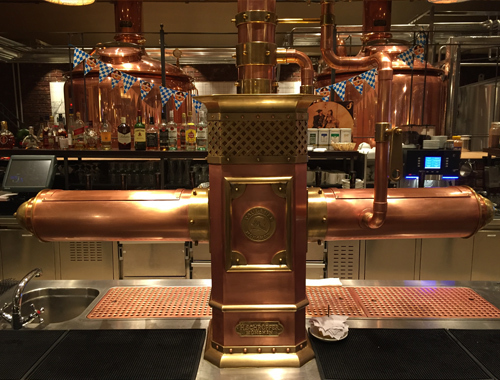 Throughout the world these are the centerpieces of every Paulaner Bräuhaus. Every freshly-brewed Paulaner Bräuhaus beer’s story begins with a complete microbrewery transported from Germany to foreign cities - a true craft guaranteed by the best brew masters. Refreshingly Bavarian! This is where beer is brewed. Pure Munich lifestyle. Brewmaster Ulrich Schindler will keep you refreshed with his smooth beer creations. Authentic regional food and hearty hospitality are some of the qualities that host Hermann Zimmerer is known for. Come and find a cozy place in this unique atmosphere right next to the copper brewing kettles. 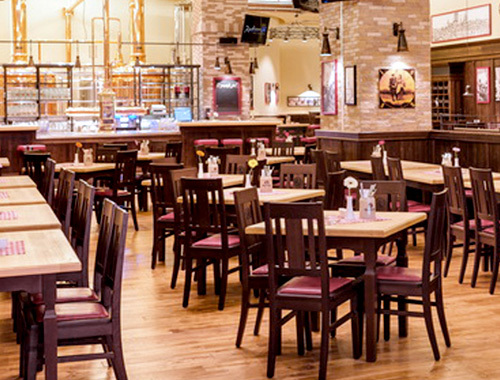 Watch the Bräuhaus Team at work and have a look at the open kitchen. You are right in the middle of the action here. 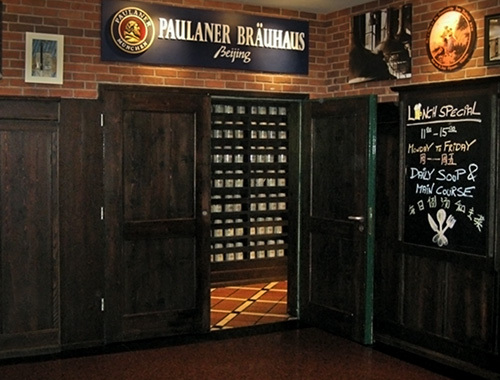 The Paulaner Bräuhaus in Beijing has been opening its doors to locals and many international visitors since 1992. 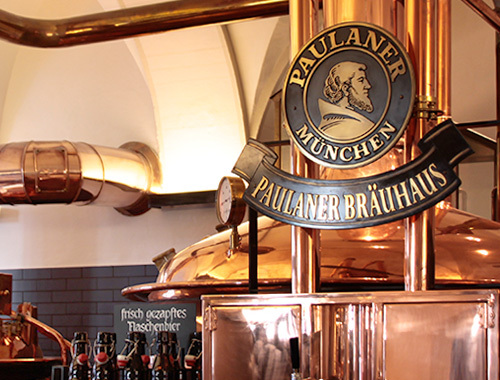 It was the first Paulaner microbrewery outside Germany. It was quick to prove that fresh, home-brewed beer and Bavarian specialities are also popular in Asia. The large beer garden is a popular meeting point for regulars and tourists, particularly during the summer months. 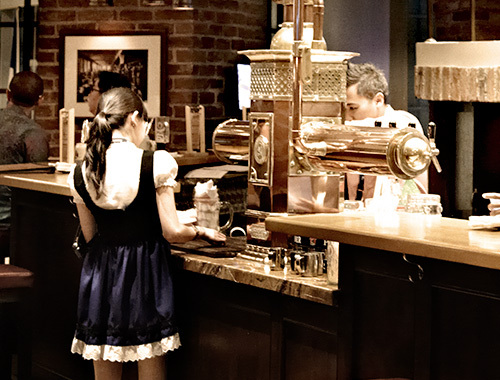 Our Bräuhaus in Singapore places a great deal of importance on its authentic furnishings in order to create the same cozy atmosphere so typical of the Bavarian Brauhäuser. The highlight: a magnificent maypole right in the middle of the restaurant. The restaurant, bar and terrace provide guests with the best possible setting for enjoying a house-brewed Paulaner Bräuhaus beer or trying out one of the many Bavarian delicacies. A piece of Bavaria in the heart of Jakarta. Since 2010, visitors have had the opportunity to enjoy a freshly brewed Paulaner Bräuhaus beer in Indonesia. The restaurant or beer garden, located right on central Thamrin Square, is the perfect place to relax after a long, hard day at work or a stroll through the city. Welcome to the Paulaner Bräuhaus Chelyabinsk! The Paulaner Bräuhaus Chelyabinsk is proud to be a member of the world famous Paulaner Bräuhaus family and to open its doors in a top location in Chelyabinsk. Our experienced brewmaster is brewing fresh Paulaner Bräuhaus beer on site following original recipes as our Executive Chef prepares authentic Bavarian cuisine. Enjoy the Paulaner Bräuhaus atmosphere inside the restaurant with live music, while our service team makes your stay as comfortable as possible. Of course, the Paulaner Bräuhaus Chelyabinsk is also hosting great events like Oktoberfest with specially-brewed Festbier in Autumn. Welcome to the Paulaner Bräuhaus Moscow Paveletsky! 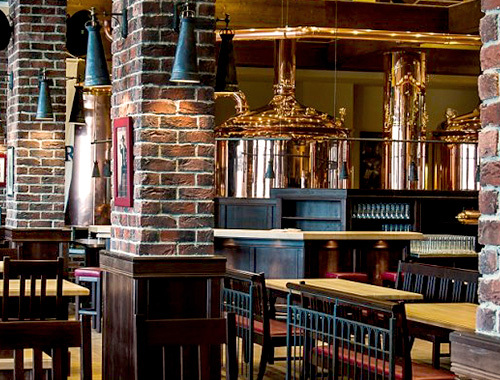 It’s the first Bavarian restaurant with an integrated microbrewery in Russia’s capital. Paulaner Bräuhaus Moscow Paveletsky can accommodate up to 400 guests, providing characteristic Bavarian Bräuhaus flair and inviting guests to enjoy a fresh Paulaner Bräuhaus beer after work. We’re looking forward to welcoming you at the Paulaner Bräuhaus Moscow Paveletsky! Welcome to Paulaner Bräuhaus Novokuznetsk! Paulaner Bräuhaus Novokuznetsk is proud to be a member in the world famous Paulaner Bräuhaus family and to open the doors in a top location in Novokuznetsk . Our experienced Brewmaster is brewing fresh Paulaner Bräuhaus Beer on site following original recipes and our Executive Chef prepares authentic Bavarian cuisine. Enjoy the Paulaner Bräuhaus atmosphere inside the restaurant with live music, while our service team will make your stay as comfortable as possible. Of course the Paulaner Bräuhaus Novokuznetsk is also hosting great events like the Oktoberfest with the specially brewed Festbier in autumn. So come here, sit down and drink together with us. Prost! 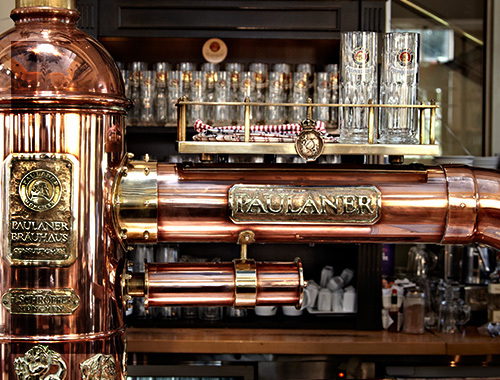 Each Paulaner Bräuhaus restaurant is responsible for the content of its local website. Paulaner Bräuhaus Consult GmbH assumes no liability for content, timeliness, completeness, or accuracy of their websites. Are you sure you want to leave the global site?